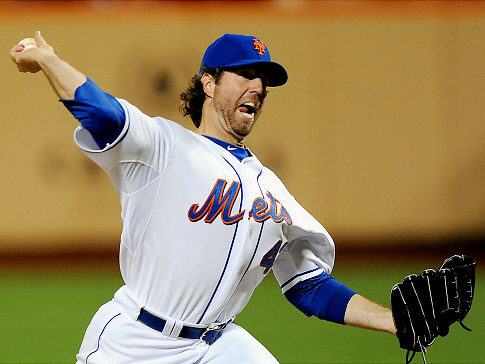 Mets | Pick Me Up Some Mets! I got the call about a week and a half ago, when the days were blurred together by a fever that had me bed-ridden and a flu that would take two weeks to beat. I could barely talk or think, but Lynn Cohen (of GaryKeithandRon.com) was calling to tell me that Dana Brand had suddenly passed away. 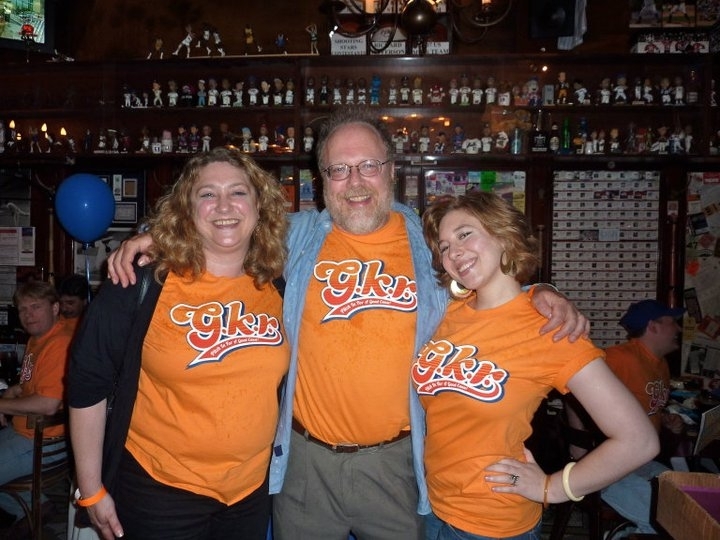 Dana – whom we’d just seen the Saturday before at a joyous (despite the Mets loss) GKR event, flanked by his smiling family. In fact it was Dana who email-introduced me to Lynn back in 2008. 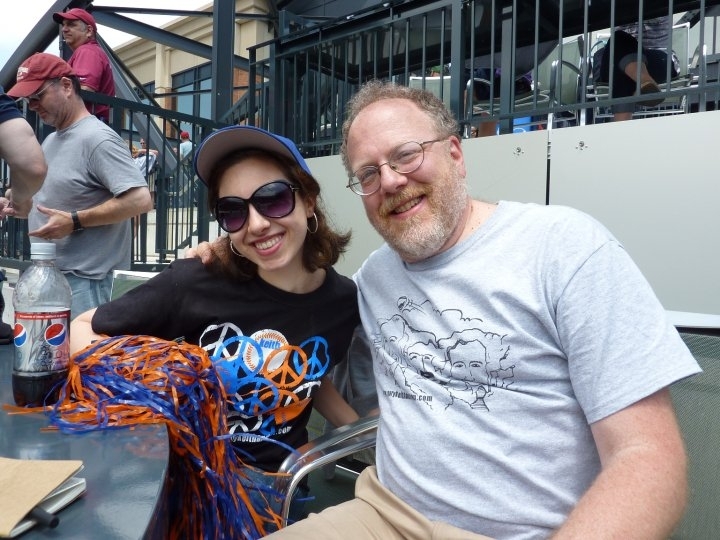 He had a way of bringing Mets fans together – of bridging the faceless voids between urls to gather avid, vocal blogging fans face-to-face. The first time I met Dana in person he was doing just that – summoning Mets bloggers, the kind of fans he wrote about and considered his brethren, to celebrate the launch of his book, Mets Fan. That was September, 2007 (an eternity ago in blogger-time) and I urge you to read about the event in Dana’s own words here. But the memory I’ll hold most dear of Dana was the day I got to see what a wonderful father he was. 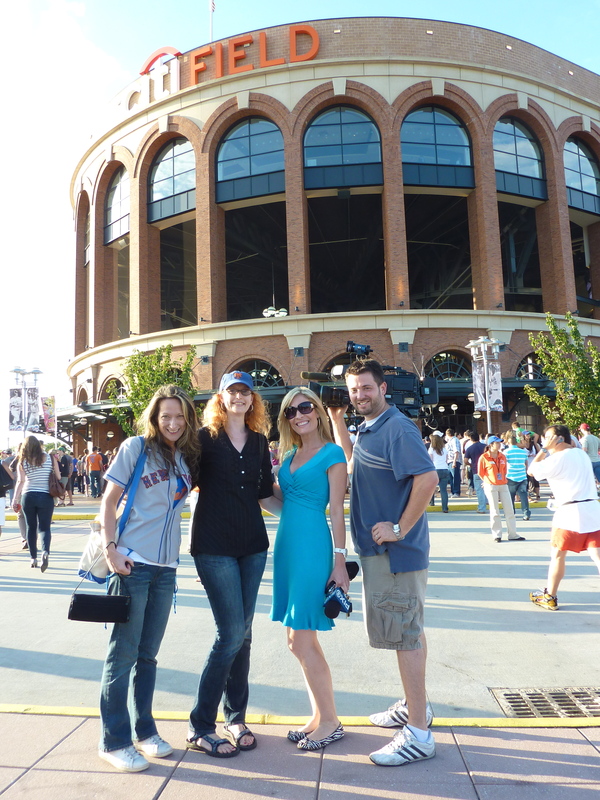 Almost exactly a year ago, June 10th 2010, Lynn got a bunch of last minute tickets in Citi Field’s Bridge Terrace. Never heard of the Bridge Terrace? I hadn’t either, but I’d seen the seats – little green cafe tables directly above the Mets bullpen, in front of the Shea Bridge. I arrived solo, planning to watch the game pretty much on my own, enjoying the sun and Johan Santana on the mound for the first game of a double-header. But then I saw Dana sitting with his lovely daughter Sonia, and they waved me on over. I hesitated internally – I didn’t want to interrupt daddy-daughter time, but Dana and Sonia could not have made me feel like less of an imposition. Dana was so open that way. If you knew him at all you could understand why he literally wrote the book – Dana loved talking to Mets fans, about Mets fans, and about Mets baseball. And so as the game went to pot pretty quickly – it was not a good day for Johan – Dana, Sonia, and I mostly kibbitzed. Before the game, we peered over the side of the bullpen at the birds-eye view of Henry Blanco’s tattooed arms catching Johan’s warm-up pitches. We marveled over the sound of the ball hitting the mitt. I heard about Sonia’s college life, saw Dana proudly nodding. I heard a bit about Sonia’s new boyfriend Pete and noticed the gleam in her eye when she talked about him. And then Lynn came on by holding something magical. Two tickets to the 2nd game of the double-header. These past few post-collapsalypse years the words “magical” and “Mets tickets” haven’t been used together all that often, but these were 2nd row seats. Behind the Mets dugout. Almost on the dang field itself. Lynn said, “These seats have to go to someone who’ll appreciate them.” That someone was obviously Dana. But Dana didn’t hesitate. He even managed to hide what might have been personal disappointment. He just said, “Oh, we can’t. Sonia has to get home to Skype with her new boyfriend.” Dana was going to give up 2nd-row dugout seats…so that his daughter could talk long distance on a computer with her boyfriend. Because that’s what she wanted, and he wanted what she wanted. But, no. That was so not going to happen. I don’t remember exactly what I said to Sonia, but it was along the lines of, “Girl, you can talk to your man anytime. Look at these seats!” I could see her getting excited about them. The kind of seats non-corporate Mets fans usually only get to dream about. And I’m so glad I had even a little part in convincing Sonia to delay her Skype chat with Pete, because the game that night was amazing. Jon Niese’s one-hitter. We were all gabbing about it the next day. Dana wrote about the whole experience, the day game and the night game in the seats, here. Knowing that Dana and Sonia had that night together, at a place that may not have been Shea but was still pretty special, to watch one of the greatest Mets games in recent years, and in those seats, warms my heart. To know that they won’t again breaks it. But I imagine that night was just one lovely memory in an overflowing treasure trove of them. 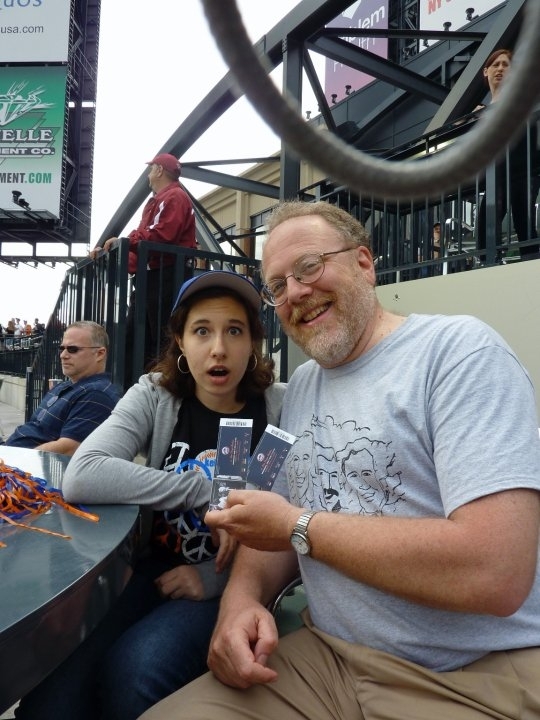 Dana was a great writer, a die-hard Mets fan, and a special guy. We will miss him, and he won’t soon be forgotten. If you’d like to participate in a memorial at Citi Field for Dana on July 16th, please click here. I’ll be in Florida for my grandfather’s 90th birthday, but I’ll be sending lots of loving thoughts back to Flushing.